Think you're too boring to be targeted by cyber-criminals? Think Again! Your private information: private pictures and messages, credit card and financial and even medical records are vulnerable to hacker attacks. You need proper protection. Protect your online accounts - your Gmail, Facebook, Instagram and more and prevent identity theft. 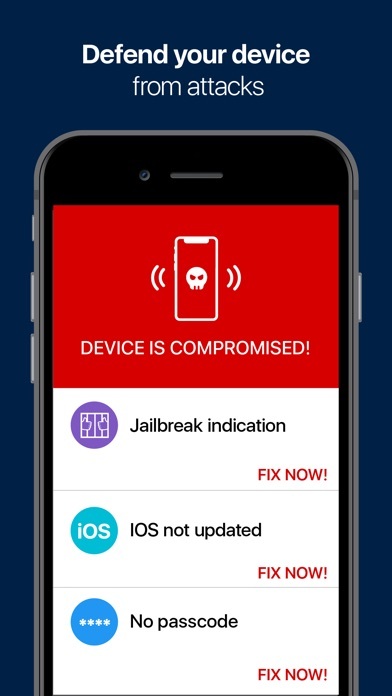 Protect your device from hacking. Scan for data that may have been stolen from you online. 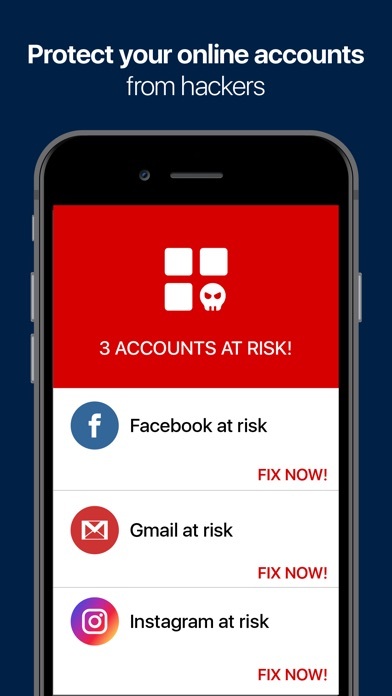 1 in 4 accounts are hacked, don't let the next be yours! "... You'll know right away of any abnormal account activity, and it's a snap to change a compromised password ..." PCmag ***Over 1,800,000 installs*** Secure your online personal information. Be alerted when any suspicious activity occurs, and prevent intrusion - Anytime. Anywhere. LogDog’s unique cyber technology will learn your online activity patterns and create your own personalized cyber profile. Adding safe locations like “Home” and “Work” will upgrade your security level and allow a higher level of detection accuracy. ***How does it work? *** LogDog continuously scans and monitors your accounts’ login location and times, number of messages and various other parameters. 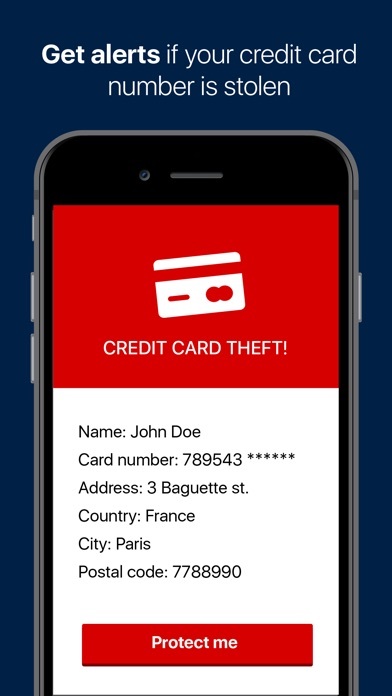 If our IDS detect anything unusual, such as an attempted identity theft or an intrusion into your private account, it immediately alerts you so you can prevent or stop the hack. 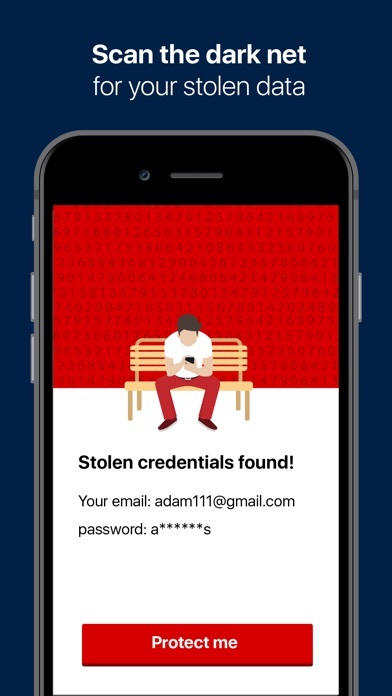 LogDog also scan your device for indication of breach or hacking and scan online databases for information that might have been stolen from you. 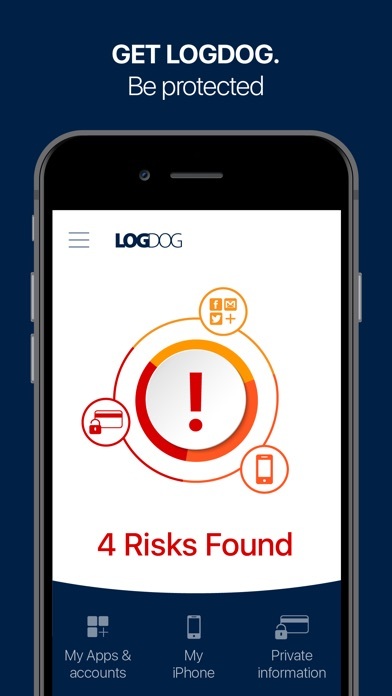 *** Get alerts for any suspicious online activity in your accounts*** LogDog sends you an immediate security alert when any suspicious activity is detected in your accounts. LogDog has recently added more security measures meant to protect your accounts by constantly scanning breached accounts lists, which appear in black market servers. *** Identify Fraud Filters and Missing Recovery Data *** LogDog will scan your online accounts for changes in recovery data and forwarding filters. Hackers often manipulate these settings in order to funnel your email to themselves and take over your accounts. Example: when planning to breach a victim’s bank account using website or app, hackers will often first add a forwarding rule to the victim’s email account. This will allow the hackers to intercept queries and email alerts from the bank and approve transfers and password changes. Monitoring these forwarding rules is therefore extremely important. LogDog will take care of this for you. Pricing: - Monthly or yearly auto renewable subscription - The subscriptions are auto-renewable. - Cancel at any time - Term of use: https://getlogdog.com/terms/ - Privacy: https://getlogdog.com/privacy/ – Payment will be charged to iTunes Account at confirmation of purchase – Subscription automatically renews unless auto-renew is turned off at least 24-hours before the end of the current period – Account will be charged for renewal within 24-hours prior to the end of the current period, and identify the cost of the renewal – Subscriptions may be managed by the user and auto-renewal may be turned off by going to the user's Account Settings after purchase The LogDog app samples GPS information on your device in order to protect your accounts. Continued use of the GPS (running in the background) can dramatically decrease battery life. We have taken steps to minimize GPS use and the impact on battery life. We run multiple tests to ensure that the LogDog app's impact on battery life is minimal and will continue to do so in all future versions. 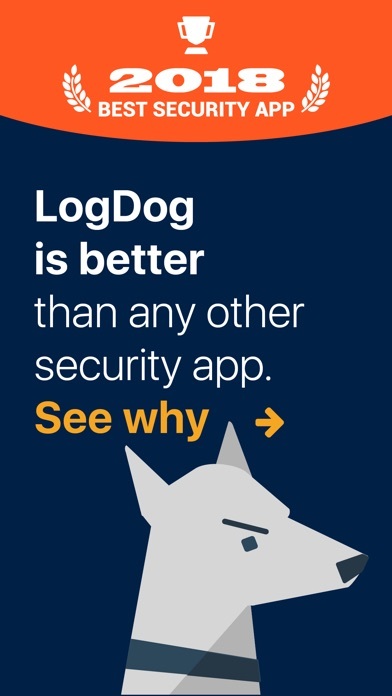 Don’t Get Hacked – Get a LogDog! The alerts I would get were for my own activity on my email account, and it was quite excessive. Even though I was a paying subscriber it seemed as if the alerts of my own activity were only to try to upsell me to pay more. Google just emailed me to say they were disabling logdog for not complying with their updated privacy requirements, which of course makes me have even less trust. I had high hopes for this app and thought it was going to be great. Sadly I was disappointed. The app had been bombing out on me with the message: “Error, failed to register, please restart the app.” It had been doing that for awhile, but restarting the app seemed to fix it, but not always. Emailed developer several days ago. No reply. I see no updates in the last 3 months. It’s only free for 30 days. Afterwards you have a few to pay. Live the instant notification if something is going on with my account. Great app! I live this app but I’m currently having issues It’s telling me the server name can not be found can I get some help from support please? Thank you!